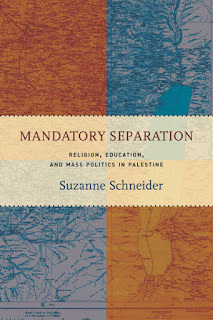 Suzanne Schneider is the Director of Operations and a Core Faculty member at the Brooklyn Institute for Social Research. Within this literature, the abuses of the teacher are mirrored by the filthy conditions of the school, which is almost without exception portrayed as dark, dirty, and lacking space--both physical and psychological--for children to develop freely and flourish. If the Enlightenment marked a high point in the concern for the individual as an autonomous, self-fashioning agent, the heder represented the narrowness of the corporate Jewish community in which collective welfare was continually privileged over individual growth. ...for Zionist writers, it [the heder] could serve as a vehicle for the preservation and further development of the Hebrew language and culture but only on the condition that it be drastically transformed. The clearest articulation of this latent potential appears in Hayyim Nahman Bialik's short story 'Safiah' (Aftergrowth), in which the protagonist attends two different hederim. The first is characterized by the usual darkness, yiddishkeit, and physical filth, while the second offers a manifestation of what the heder could be: still seeped in the classical Jewish texts, but now conducted in Hebrew, often outdoors, and absorbed in tales of biblical heroism rather than with the ritual laws stemming from Leviticus. This impulse to reconstitute an institution--or an entire tradition--by returning to core texts, languages, and ideas was not unique to Zionists but emblematic of a larger modernist phenomenon that stressed the primacy of one's roots. Now, we often think about modernity as a secular project in which religion fades away and our lives become ordered by strictly rational forces. Yet, as I argue throughout this book, that narrative is deeply flawed. The old does not give way to the new, but is reanimated by it. Indeed, much of “secular” culture remains deeply indebted to religious symbols, narratives, ways of knowing, views of the self and others, and so on. And though Mandatory Separation is focused on Judaism and Islam, this is equally true of Christianity as well. For example, it’s impossible for me to think of Immanuel Kant’s notion of the rational, autonomous individual—so central to the Enlightenment and the entire cult of individualism in the West—without tracing its genealogy to Martin Luther’s concept of the accountable soul. Finally, as the above passage indicates, these modernizing movements were oriented in many respects around a quest for roots. This is consequential, as a lot of thinking still revolves around the notion that the origin point is the most authentic expression of something (I’m looking at you, Constitutional originalists). Yet what remains so fascinating to me about religions is that they are constantly evolving, especially when they claim otherwise! While there are obviously some who deny the innovative aspects of their own faith and practice, there are mechanisms within many traditions for viewing this evolution in a positive light rather than as an aberration from a perfect past. Given all the reactionary nostalgia in our current political landscape, this is a lesson that we could all benefit from learning. 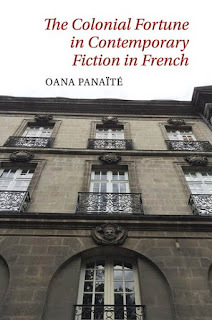 Oana Panaïté's "The Colonial Fortune in Contemporary Fiction in French"
Oana Panaïté is Associate Professor of French at Indiana University-Bloomington and the author of Des littératures-mondes en français: Écritures singulières, poétiques transfrontalières dans la prose contemporaine / On World-Literatures: Singular Writing and Transfrontier Poetics in Contemporary Literature in French (2012). I would argue that a similar belated and unexamined colonial sensibility resurfaces in the novels of Laurent Gaudé, winner of the Goncourt prize in 2004 for the Mediterranean-inspired family saga Le Soleil des Scorta, which vacillate between melancholy and “presentism” (Hartog 2003) as their narratives attempt to establish a delicate balance between the empathic re-enactment of the past, in its material and affective manifestations, and the critical scrutiny of its social and political underpinnings. On his blog, Gaudé details his sources of inspiration: the journey “to faraway lands” or “remote past eras,” the shout (“le cri”) “or those who passed on without being able to voice it,” Antiquity and the Mediterranean. Combining empathy and sympathy, these categories relate to the concept of Einfühlung, or “feeling into,” described as an embodied (emotional and physical) response to an image, a space, an object or a built environment (Keen 209). The writer’s mention of the shout (“le cri”) is strikingly reminiscent of the central idea of the Négritude movement, yet this reference remains unacknowledged by Gaudé. What might appear to be an ambiguous, if not unethical, use of an important intellectual contribution by African and Antillean French-language writers could by the same token be construed, in the light of the paradigmatic shift away from what Simon Gikandi calls “theories of difference” (Gikandi 2001, 5) to what Stuart Hall calls “the politics of articulation” (Hall 1986), as a new manner of integrating Senghor, Césaire and Damas’s thinking into the mainstream cultural vocabulary without indexing their difference and intellectual contribution. To test this hypothesis, we can turn our attention to three of Gaudé’s novels: Cris (Shouts), Eldorado and La Mort du roi Tsongor (The Death of King Tsongor). Each of them relies on the fictionalization of Africa, in an explicit or allusive manner, whether as a central theme or a secondary narrative feature, such as a character or a backdrop. This excerpt from page 99 reflects the book’s main thesis that contemporary writing in French (fiction, autobiography or essay) by metropolitan and non-metropolitan authors who are not necessarily involved or engaged with the legacy of French colonialism is nevertheless characterized by the subtle yet persistent presence of colonial history. This latent memory is captured in idea of the “colonial fortune” which brings together issues of imperial nostalgia, neo-orientalism, fate, economics, legacy, and debt and allows us to gain a greater understanding of the current French artistic and political landscape. Brian E. Crim is the John Mills Turner Distinguished Chair in the Humanities and an associate professor of history at Lynchburg College. He is the author of Antisemitism in the German Military Community and the Jewish Response, 1914–1938 and the editor of Class of ’31: A German-Jewish Émigré’s Journey across Defeated Germany. 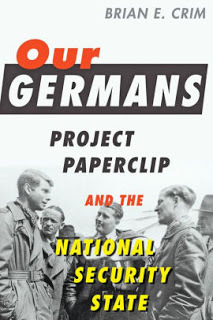 The first sentence on page 99 addresses the section of the book devoted to the bureaucratic and public opposition to Project Paperclip: “Those in the State Department opposed to an unrestricted Paperclip were motivated in part by a healthy suspicion of the German scientists, but most acted primarily to shield the department from assuming the risks inherent in Paperclip while receiving none of the benefits.” I believe the most original contribution in Our Germans is delineating the motivations and fates of those who opposed this controversial intelligence program. Many officials who devoted their lives to fighting Nazism were now asked to facilitate their immigration with minimal, and often nonexistent vetting while hundreds of thousands of displaced persons languished in camps (many of them former concentration camps) in central Europe. Yet, despite their personal objections, State Department officials relented under the weight of military pressure. Still, men like Samuel Klaus, a State Department lawyer who is featured prominently in this chapter, was dragged through the mud during the McCarthy era simply because he questioned the logic of granting unvetted Nazis American citizenship. While most Americans prefer to remember Project Paperclip as a brilliant intelligence coup, Our Germans lays bare the internecine battles pitting conflicting views of national security and morality at the dawn of the Cold War. Martin Shuster is assistant professor and chair of Judaic Studies in the Center for Geographies of Justice at Goucher College. D’Angelo is not squeezed between two institutions, as if the bonds of each are equally compelling (as in Hegel’s famous reading of Antigone), but rather D’Angelo dies because he disavows allegiance to any institution. Page 99 doesn’t quite capture the whole of New Television, but it does offer an important entryway into my reading of The Wire. 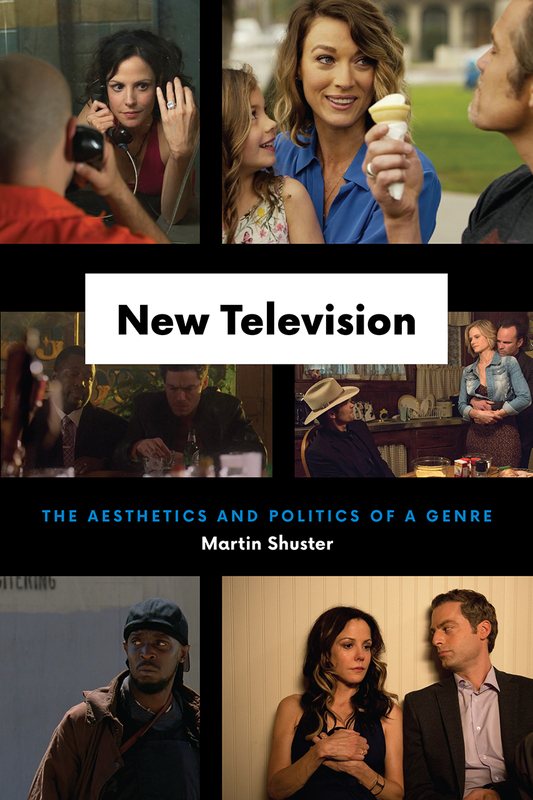 The Wire, however, forms only one aspect of the book, indeed, really, only serves as the entryway into the theme of new television, which is an aesthetic and political category. With respect to the former, new television signifies that, roughly with Twin Peaks in the early 1990s, there emerge truly new aesthetic objects on the small screen. With respect to the latter, these objects locate their significance around a particular political conception—of screening a world entirely devoid of normative authority in all of its institutions, except one: the family. The Wire participates in this thematic mode, but we might say only unintentionally or unreflectively, and thereby does not reach the sort of political signification that later shows achieve … a point that New Television attempts to map. 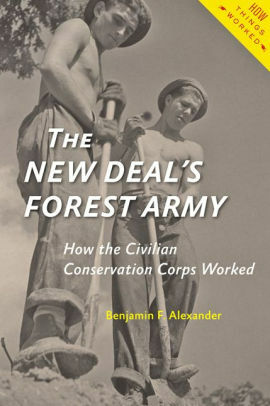 Benjamin F. Alexander's "The New Deal's Forest Army"
Benjamin F. Alexander teaches American history at the New York City College of Technology. He is the author of Coxey’s Army: Popular Protest in the Gilded Age. My shoes and shirt before I wake. An initiate might be woken up late at night and told it was his turn for flagpole duty, a totally fictional assignment, or given a flashlight and a bag and told to go out into the woods to catch a snipe, an equally fictional creature. During the day, he might be sent to the supply room to ask for a nonexistent item such as a skyhook, a clipboard stretcher, a can of striped paint, some elbow grease, or a left-handed monkey wrench. Soon after, I mention that some snakes got put in beds, both fake and real, and that any enrollee who didn't bathe adequately could get a rough and painful scrubbing with an industrial brush, or "GI Bath." The motto of the CCC was “We can take it,” and indeed, CCC enrollees did a great deal of hard work. Enrollees planted trees, set up forest fire preventions systems, fought forest fires sometimes losing their lives, built dams and other flood control structures, landscaped public parks, and cut many of the hiking trails that outdoorspeople enjoy the use of today. They did all this under civilian supervision while living in camps of 200 that the Army ran. They were mostly young men whose families were on relief rolls, in a decade marked by the worst depression in the country's history, and indeed most of their pay went not to them but to their families, in most cases their parents. Not all of the pranks were harmless, and not all of the men who joined the corps could “take it.” Like everything else in the Roosevelt New Deal, the CCC had its good and its bad side. On the balance sheet, what stands out the most is that many (though not all) unemployed Americans got desperately needed jobs, and permanent improvements to America's physical landscape got made. But when you put 200 male teenagers and young adults in barracks for six months, some beds are going to get short-sheeted, rigged to collapse, and outfitted with real or phony snakes for their occupants' displeasure. Sam Rosenfeld is an Assistant Professor of Political Science at Colgate University. He has a PhD in History from Harvard University and studies parties and American political development. His research interests include the history of political parties, the intersection of social movements and formal politics, and the politics of social and economic policymaking. 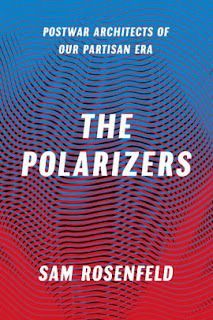 Page 99 of The Polarizers comes toward the end of the introductory section on my chapter on the 1960s. As a result, it’s more big-picture and analytically explicit than the typical pages of detailed historical narrative found throughout the book. And the big-picture argument I’m making in the chapter is this: political developments in the 1960s, for all of their extraordinary social and cultural tumult, marked less a turning point than an acceleration of preexisting dynamics in party politics. They reflected debates over parties’ proper role in American politics that were not new. The preceding 98 pages have told the story of the postwar emergence of a critique, offered by thinkers and activists on both the right and the left, of the highly unpolarized American party system at midcentury. Both parties contained conservative and liberal factions, policy was made via bipartisan coalitions, and party allegiances often still stemmed from loyalties based on either tradition or non-programmatic material incentives like patronage. A new postwar breed of activists motivated by national policy issues and ideology, buttressed by leading political science scholarship, decried the fuzzy distinctions between the two parties that such arrangements produced. In the name of democracy, they championed restructuring and sorting the parties around coherent and distinct ideological agendas. It would take the ensuing, truly pivotal decade of the 1970s for such actors to finally achieve transformative breakthroughs in both parties that served to forge the political world we still inhabit today. 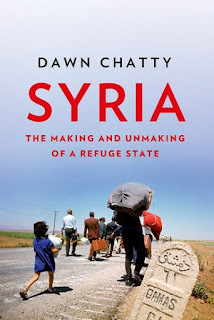 Dawn Chatty's "Syria: The Making and Unmaking of a Refuge State"
Dawn Chatty is Emeritus Professor of Anthropology and Forced Migration and former Director of the Refugee Studies Centre, Department of International Development, Oxford University and the author of Displacement and Dispossession in the Modern Middle East and From Camel to Truck. Three Armenian delegations from the new republic attended the January 1919 Paris Peace Conference (Hovannisian, 1987). Their public relations success can be found in one of the first acts of the conference, which declared that ‘because of the historical misgovernment of the Turks of subject peoples and the terrible massacres of Armenians and others in recent years, the Allied and Associated Powers are agreed that Armenia, Syria, Mesopotamia, Palestine and Arabia must be completely severed from the Turkish Empire’ and provisionally recognized as independent nations subject to the ‘administrative assistance’ of a Mandatory power. What happened next is the story which this book tries to tell, the making and unmaking of the Syrian state as a place of refuge for Circassians, Kosovars, and Albanians, Armenians, Assyrians, Kurds, Palestinians, and later Lebanese and Iraqis. I have written this book in an accessible manner to appeal to most interested readers. Each chapter who found sanctuary in Syria. The final chapter looks at the waves of people who have recently fled Syria and sought asylum in neighbouring countries. For many Syrians, there is disappointment that having provided refuge for displaced people for nearly a century, they are now faced with closed doors beyond their Mediterranean neighbours. Learn more about Syria: The Making and Unmaking of a Refuge State at the Oxford University Press website. 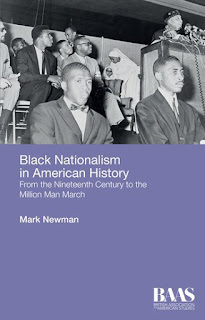 Mark Newman's "Black Nationalism in American History"
Black Nationalism in American History provides an overview of its development, expression and organization from early manifestations through the Million Man March in Washington D.C. in 1995, when black nationalism’s popularity was greater than it had been in the 1960s. The book avoids either advocacy or condemnation found in many studies and assesses leading scholars’ interpretations against historical evidence. Scholars disagree about defining black nationalism, when it began, what forms it has taken, how popular it has been, and how much it has been independent of or shaped by developments in white society. Outlining black nationalism across two centuries, the book addresses these issues and the often neglected contributions of women. Black Nationalism argues for a broad definition that incorporates demands for self-determination focused on controlling institutions within black communities, and it contends that black nationalism’s shape, appeal, and meaning have reflected the particular circumstances of its time. Page 99 occurs in the second half of chapter three about the Nation of Islam and Malcolm X, and just over halfway through the book, reflecting the fact that the Nation and Malcolm X, its most famous convert and leading minister, were important contributors to, but not originators, of black nationalism. Page 99 concludes a discussion about why Malcolm X left the Nation in 1964 and disputes biographer Manning Marable’s claim that his departure resulted from ‘politics; not personalities.’ Elijah Muhammad, the Nation’s leader, and most of his family had become jealous of Malcolm X’s growing popularity and feared his knowledge of Muhammad’s adulterous affairs and illegitimate children. Suspended ostensibly for welcoming President John F. Kennedy’s assassination, Malcolm X tried repeatedly to be reinstated and left only after concluding that Muhammad would never lift a suspension intended to contain and silence him. Page 99 is reflective of the book’s style but not of its overarching themes. 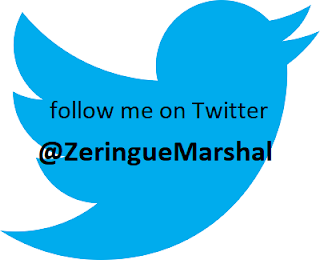 Learn more about Black Nationalism in American History at the Edinburgh University Press website. Sunaina Maira's "Boycott! 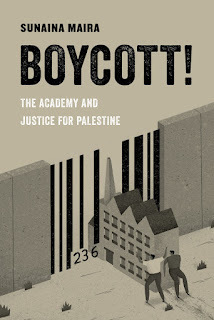 The Academy and Justice for Palestine"
Sunaina Maira is the author of Boycott! The Academy and Justice for Palestine and a founding organizer of the US Campaign for the Academic and Cultural Boycott of Israel (USACBI). To draw on Darnell Moore and Sa’ed Atshan’s formulation, the “reciprocal solidarities” that have been emerging as those in BDS and other social justice movements come together is resulting not only in emotionally sustaining shared stories and forms of community, but also in concrete forms of mobilization and calls to action for struggles that are at once articulated and place based. The historic M4BL Platform, and its support for BDS, is one example of this; another is Palestinian support for Native Peoples in North America organizing against the Dakota Pipeline. This is the result of organizers in different movements learning from and supporting each other in struggles that are at once articulated and sometimes distinct. In this chapter, I discuss the endorsement of BDS by the Movement for Black Lives (M4BL), which grew out of the Black Lives Matter movement, building on the transnational Black-Palestinian solidarity of campaigns such as Ferguson 2 Gaza. 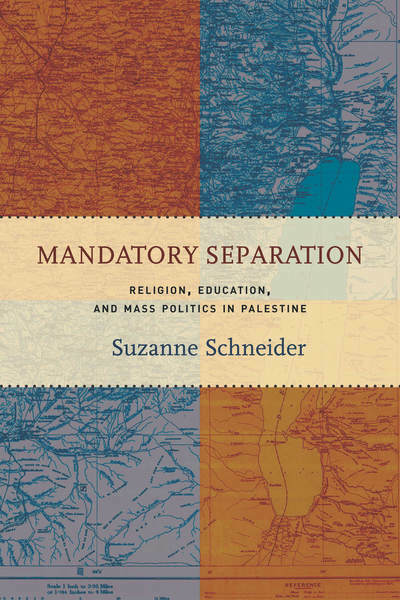 The chapter offers an analysis of the backlash against the boycott movement as a window into the cultural and racial wars in which the Palestine question is embedded. It theorizes the backlash as an archive of repression, going beyond documenting the systematic censorship, defamation, blacklisting, and disciplining of academics, students, and activists who advocate for BDS and Palestinian rights. The backlash illuminates the racial, gender, and class politics of the “backlash network” of Zionist organizations, based on anti-Arab racism and Islamophobia. Israel lobby groups view the cross-racial solidarity and coalitions forged by BDS activists with other progressive movements, including queer and feminist campaigns, as a threat to uncritical support of Israel. They regularly combat the current recasting of solidarity with Palestine as a progressive-left cause by accusing boycott advocates of anti-Semitism. However, the BDS movement has challenged the taboo on criticism of Israel in the U.S. academy and reframed the oppression of Palestinians through the frameworks of settler colonialism and apartheid, in addition to challenging the military occupation. The academic boycott resolutions endorsed by various academic associations, such as the American Studies Association, have helped transform the Palestine question, situating it in antiracist, internationalist, and indigenous rights frameworks. These campaigns have ruptured the sanctioned narrative about Palestine-Israel and reveal fugitive knowledges hitherto repressed by a powerful status quo. The boycott has thus enlarged academic freedom in the U.S. university and challenged the assaults on academic (and human) freedom for Palestinian scholars and students. Learn more about Boycott! : The Academy and Justice for Palestine at the University of California Press website. 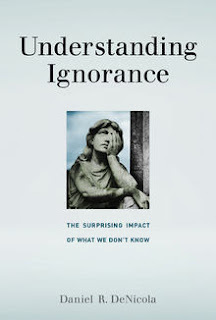 Daniel R. DeNicola's "Understanding Ignorance"
Daniel R. DeNicola is Chair and Professor of Philosophy at Gettysburg College and the author of Learning to Flourish: A Philosophical Exploration of Liberal Education. …[I]t is not always the coming-to-hold-this-belief that is the problem; it is the reflective maintaining of such beliefs along with the refusal to disbelieve or discard them that may be voluntary and ethically wrong. If the content of a belief is judged morally wrong, it is also thought to be false. The belief that one race is clearly inferior or not fully human is not only a morally repugnant, racist tenet; it is also thought to be a false claim—though not by the believer. The falsity of a belief is a necessary but not sufficient condition for a belief to be morally wrong. Neither is the ugliness of the content sufficient for a belief to be morally wrong. There are morally repugnant truths, sadly, but believing them does not make them so. Their moral ugliness is embedded in the world, not in one’s belief about the world. One of the virulent forms of ignorance is willful ignorance. Its flat rejection of challenging evidence and ideas is often bolstered by false knowledge. In nearly all cases, the willfully ignorant are engaged in the protection of some prior belief or value commitment, an ideology or doctrine. It masks ignorance with false knowledge. Those who refuse to know, when cornered, sometimes assert a right to believe whatever they want. It is a hollow claim. My page 99 quotation, which is drawn from a section on the ethics of belief, asserts our responsibilities regarding our beliefs. Perhaps we seldom “choose to believe,” but we do have epistemic responsibility for what we believe. Some beliefs are morally repugnant; some are ridiculous and demonstrably false or unjustified; and some are merely stubborn refusals to assent to uncomfortable truths. Some believers think they are wisely skeptical of mainstream “truths”; that they have special access to the “real truth”—usually a conspiracy theory of some sort. Ironically, these misguided attempts to honor the “real truth” are little more than ignorance in elaborate disguise. Today, we have unprecedented access to vast human knowledge and real-time information. There has never been a better time to learn. Unfortunately, our society is also being engulfed by a culture of ignorance that is characterized by widespread, reprehensible ignorance of matters that affect our ability to live together; by the rejection of expertise in favor of ideology and populist opinion; by the willful ignorance of partisanship, religious intolerance, and privilege. As a result, our society spends far too much time, energy, and capital coping with the willfully ignorant and their impact on policy and practice. At the heart of this problem is the urgent need to respect the truth. I do not mean that we need to act as though we possess the Truth. That is, in fact, the problem with those who refuse to recognize their own ignorance, the possibility of error, or the potential justification for altering their beliefs. Rather, I mean the ideal of truth, the search for the truth, must guide us; only that permits genuine deliberation, genuine inquiry. Beliefs are factive; they aspire to the truth. It is wrong to use them as epistemic pillows to comfort us in our prejudices. Learn more about Understanding Ignorance at The MIT Press website. Peter B. 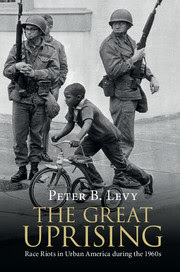 Levy's "The Great Uprising"
Peter B. Levy is a Professor of History at York College, York, PA.
How did Americans respond to the Great Uprising of the 1960s, the term I use in my recently published book by the same name to describe the race riots of the 1960s? Why were they taking place and how should (and did) the nation respond? To answer these questions, I examine three demographically distinct communities, Cambridge Maryland, a small town of 10,000 on Maryland’s Eastern Shore, Baltimore, Maryland, one of the nation’s largest industrial cities during the 1960s, and York, Pennsylvania, a mid-sized city whose riot received little attention until 2001 when its two-term mayor, Charlie Robertson, was arrested for allegedly helping to murder a black woman during its 1969 revolt—he was a city policeman at the time. Even though it was a bi-partisan commission and based its findings on the work of hundreds of highly-trained social scientists and the testimony of hundreds more, most Americans, including President Johnson, rejected these claims. As I write on page 99, public polls revealed that “45 percent of whites blamed outside agitators for the nation’s urban unrest, whereas less than one-third … saw either ghetto conditions or ‘promises not kept’ as the cause … [and] 71 percent of whites believed that the riots were ‘part of an organized effort,’ not ‘spontaneous eruptions (p. 99).’” In other words, conservatives won the debate over what had caused the revolts and, in turn, determined that the nation would not respond with renewed efforts to combat the ills of the ghettos, as recommended by the Kerner Commission, but instead favored a “law and order” strategy which prioritized cracking down on radicals and those Agnew and other deemed culpable of enabling them. By re-examining the riots of the 1960s, including the greatest wave of social unrest in modern history, which took place fifty years ago following Martin Luther King, Jr.’s assassination, The Great Uprising seeks to enhance our understanding of the causes of the revolts themselves and the nation’s response. Visit Peter. B. Levy's website. Japonica Brown-Saracino's "How Places Make Us"
Japonica Brown-Saracino is Associate Professor of Sociology at Boston University. She is the author of A Neighborhood That Never Changes, and editor of The Gentrification Debates. Being LBQ in San Luis Obispo clearly means something vastly different than it does in Ithaca, New York. The enormous contrast between the residents in these two communities reminds that there is no neat chronological progression out of the closet or away from gay and lesbian communities. Contrary to some popular assumptions, gay life in America has not moved away from identity-politics; though the narrative is tempting, we have not stepped in unison from Stonewall to marriage registries and baby showers…. At least in San Luis Obispo, even amid a string of legal and cultural victories, and with unprecedented mainstream acceptance of alternative lifestyles, identity politics – predicated on notions of a common “lesbian” identity – is alive and well. 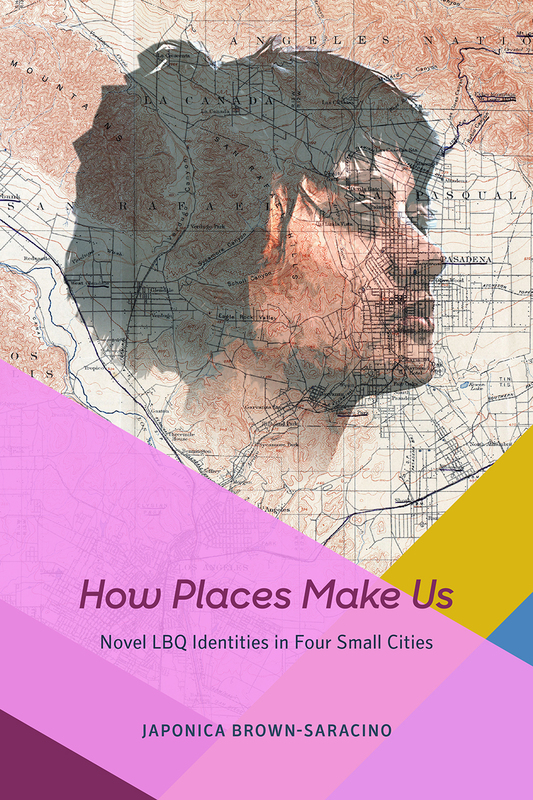 calls us away from strictly temporal and demographic explanations for the formation of LBQ identities, as well as from a spatial map that only recognizes variation across red and blue states, rural and urban locales, and coastal and inland cities. In this sense, page 99 sets the stage for the book’s argument that cities make us; that subtle differences in city ecology – related to the abundance and acceptance of LBQ residents, local LBQ demographics, and place narratives – shape what it feels like to be LBQ in a city, our interactions with others who do and do not share our traits, and, ultimately, how we think about who we are. We are, in this sense, fundamentally local creatures; despite the confidence many of us have in our ability to shape ourselves and the widespread belief that our core sense of self is immutable, our interactions and self-understanding respond to even very subtle differences in city conditions, creating city-specific identities and communities. Learn more about How Places Make Us at the University of Chicago Press website. The Page 99 Test: A Neighborhood That Never Changes. Melita M. Garza is an assistant professor of journalism at Texas Christian University’s Bob Schieffer College of Communication. They Came to Toil shows the reader how English- and Spanish-language newspapers constructed versions of Mexican and Mexican immigrant identity during the deeply xenophobic early years of the Great Depression—a zeitgeist of fear that eerily resonates in many ways with today. Page 99 offers a window into the Spanish nostalgia found in the English-language newspapers, the Hearst-owned San Antonio Light and the independently owned San Antonio Express. The important third newspaper voice, the Mexican-immigrant owned La Prensa, is missing from this page, so reading it in isolation can’t take you into all three separate media worlds depicted in the book. Page 99, however, shines a spotlight on the English-language newspapers’ preservation reporting, an area of news coverage that celebrated one facet of Spanish-speaking immigrants, the Canary Islanders who founded the city of San Antonio. The mania for restoring San Antonio’s five historic Spanish missions intensified in 1930, with a prime focus on the crown jewel of the chain, Mission San José. Page 99 recounts the Light’s article about a prominent Anglo businessman who returned a wrought iron bar he had stolen as a young man from Mission San José’s historic Rose Window in 1880. “The theft of heritage committed by a ‘freckle-faced boy’ ” and the allegory about its recovery received major play in the Light. The story exemplifies how newspapers’ editorial authority plays a role in what Renato Rosaldo calls “imperialist nostalgia,” in this case, atoning for past Anglo abuse of the Spanish architectural achievements by rebuilding them. Elsewhere, the book shows how media veneration of these Spanish-speaking pioneers in the early 1930s sharply contrasted with other media rhetoric about immigrants. This was particularly manifest in the Light’s editorials, which argued for deportation of “undesirable” immigrants, even as record numbers of Mexican immigrants were already either forcibly or voluntarily returning to Mexico in repatriation drives. 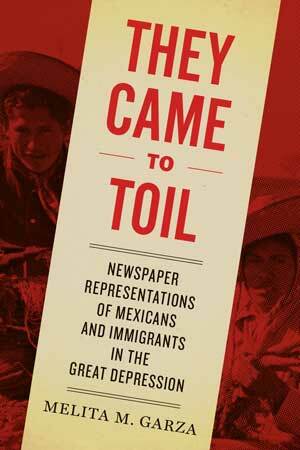 They Came to Toil shows how newspaper sites of memory reveal a consciousness of the past about what it means to be Mexican and American. 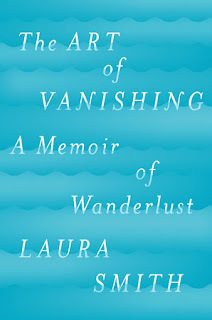 Laura Smith's "The Art of Vanishing"
Laura Smith is a staff writer at Timeline with bylines from The New York Times, the Guardian, Slate, Mother Jones, and others. I did the page 99 test and was blown away for several reasons. 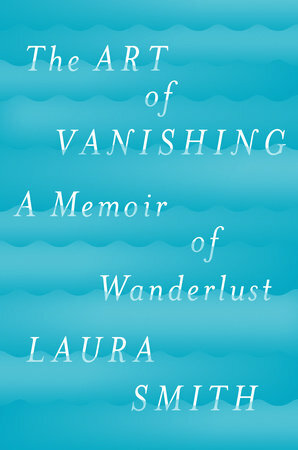 The Art of Vanishing is about my search for Barbara Newhall Follett, the child prodigy novelist who disappeared in 1939. But it's also about my marriage and my search to reconcile stability and adventure. My and Barbara's stories are both about a kind of restlessness that is particular to youth, and this page really captures all that. Page 99 falls on a passage about the time Barbara and her husband quit their jobs to hike the Appalachian trail. It begins with one of my favorite quotes of hers from a letter; "God knows I may end up in an awful mess. Still, all I can do is follow the best I know—take the greenest and most verdurous trail I can see. If it ends in a desert or a swamp, maybe I can go back and try another one ... I've a new, and I think better structure of life, though time alone can tell that!" It was difficult for me to read this passage now. In just a few short years, she would experience a kind of pain that she couldn't have imagined. The tone of this page really captures her adventurous spirit but also her naivety. You can only feel this bold when you're at the height of your powers. I once really related to this quote, but these days, in my own story, I'm feeling my own fragility and looking upon the self that loved this quote with a mixture of nostalgia and sadness. Visit Laura Elaine Smith's website. Anna Müller's "If the Walls Could Speak"
Anna Müller is assistant professor of history and Frank and Mary Padzieski Endowed Professor in Polish/Polish American/Eastern European Studies at the University of Michigan-Dearborn. She was formerly a curator at the Museum of the Second World War in Gdansk, Poland. Page 99 is the finale of the story about the interrogations of three extraordinary Polish women faced imprisonment and potential death for their political involvement during and after WWII. Their youth and age; their love for men and cause; their fears and insatiable need for action were put on trial, which was about life and death, but also about their identity. The questions that the interrogators as well as the women themselves had to unravel were not what they did and how they broke the law, but who they were. Traitors? Loving, but confused women? Perhaps violent conspirators? Who were these women when they were put on trial, and who were they when they emerged from it? It was a threshold for these women, who, while facing interrogation officers, were facing a fear of physical violence, a fear of the unknown, and a fear that the rest of their lives hung on this one moment (the interrogations). But it was also a threshold when they understood how important it is to insist on their own version of the story, even if that meant reconfiguring it over and over again. It was a threshold for me as a historian, as I stepped into the web of interrogation transcripts. Created under duress, interrogation protocols provide their readers only with a blurred image of reality, yet these shadows are the only means through which the reality locked in the four walls of a prison cell can be reached. 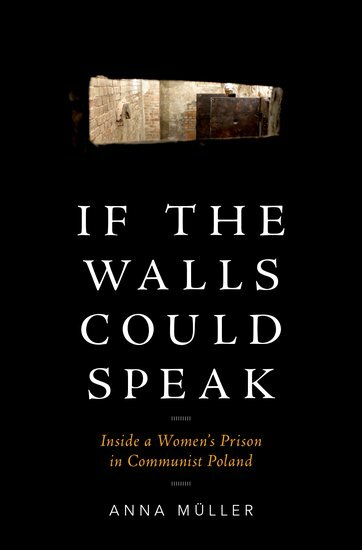 It was a threshold for me as an author, as I tried to disentangle these lives and understand the women who never ceased to amaze me; from everything that happened to them, they seemed to emerge stronger and more insistent on the powerful lessons and values that they took from prison. How much is this story about them and how much about me searching for strength and values in the modern world? After crossing that threshold, what was left for the prisoners were long months and years in a prison cell. Four walls. Frozen time and space. They still had fears, but they no longer lived in fear of not knowing the length of their sentences. Replacing this was a mixture of boredom and desperation, and intensely intoxicating moments of clarity. Emptiness is never bare. 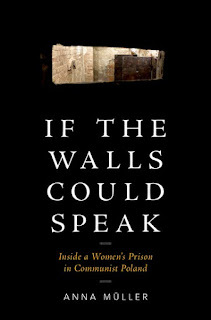 Learn more about If the Walls Could Speak at the Oxford University Press website. David Morgan's "Images at Work"
David Morgan is Professor of Religious Studies with a secondary appointment in the Department of Art, Art History, and Visual Studies at Duke University. He is the author of numerous books, including The Forge of Vision (2015), The Embodied Eye (2012), and The Sacred Gaze (2005). Ford Madox Ford’s Page 99 test works well in the case of Images at Work, because when the books is opened to that page, the reader encounters a key idea in the project. What I call a “focal object” is the visible face of something much larger, deeper, and wider than we can see. It opens access to an invisible being or system, an entire network that is otherwise unreachable or transcendent. This gives the focal object a unique kind of power because by interacting with it, we engage all that we cannot see. It is not difficult to imagine how important this is in matters of religion, where gods, spirits, powerful forces, the afterlife, the mythic past, and the unveiled future all surpass human power or comprehension. The focal object makes access to them possible. A compelling example of this is the reliquary: it contains a relic, a bit of bone, for example, from the body of a saint martyred long ago. The pilgrim travels from afar to present herself before the relic’s receptacle and to pray there. The route that has brought her there, the church and shrine that house the reliquary that contains the relic, the saint himself, dwelling in heaven, the lore that has directed the pilgrim, and the needs of the pilgrim herself—all these form an assemblage whose face is the reliquary beheld by the pilgrim. Action directed to focal objects can affect the system or network that they embody. The focal object provides a point of access as well as eclipses everything that might dissolve the sacred into randomness or coincidence: the theft or violence that procured the relic, its dubious provenance, the lack of documentation that might authenticate it, the history of its transformation from bone to relic. What the pious pilgrim encounters instead is the gleaming presence of the holy. We can talk about this in vague terms of “symbolic expression,” but that misses the power of images to work a kind of magic, and that is why I want to use the term enchantment in exploring the cultural work that images perform. Enchantment captures something non-rational about images that modern life has not squelched beneath its regime of rational planning and scientific management. This book seeks to understand how images work a magic that we still find irresistible, for good and for ill. 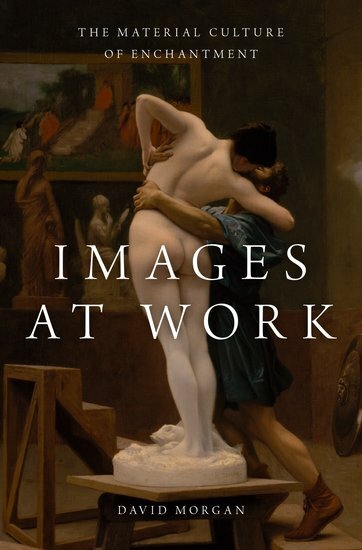 Learn more about Images at Work at the Oxford University Press website. The Page 99 Test: The Forge of Vision. Elaine Howard Ecklund and Christopher P. Scheitle's "Religion vs. Science"
Elaine Howard Ecklund is Herbert S. Autrey Chair in Social Sciences and Professor of Sociology at Rice University. Christopher P. Scheitle is Assistant Professor of Sociology at West Virginia University. The quote above appears on page 99 in Religion vs. Science, in a chapter examining how religion influences individuals’ attitudes towards the environment broadly and towards specific environmental issues like climate change. The book presents the results of five years of research that included a nationally representative survey of over 10,000 Americans as well as over 300 in-depth interviews with individuals representing a wide range of faith traditions. Contrary to what one might think based on certain caricatures found in the public sphere, our research finds that religious people across faith traditions are quite positive towards science. This is not to say that there are no tensions or conflicts between individuals’ religious faith and their orientation towards science. As we argue throughout the book, at the center of such conflicts is the question of how particular scientific findings or areas of research challenge individuals’ conceptions of a God who is active in the world and conceptions of humans as sacred in nature. For instance, we found in our survey data and our interviews that religious individuals are quite flexible in what they are willing to accept in regards to the origins of the world and life as long as they perceive some room for God to have a role. The book also offers guidance on how the relationship between scientific and religious communities might be improved. The first step is to shed the stereotypes held of each other in both communities. The second step is to recognize that the religious and scientific communities hold many overlapping concerns. Finally, both communities need to better understand the nature of the tensions that do exist. While these tensions may take the manifest form of technical debates about scientific findings, they often mask more latent concerns about meaning and identity. 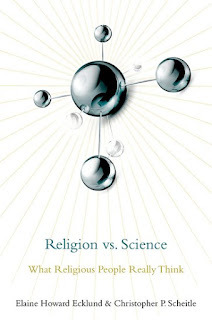 Learn more about Religion vs. Science at the Oxford University Press website, and visit Elaine Howard Ecklund's website and Christopher P. Scheitle's website.